Despite only joining the National Hockey League (NHL) in 2017, the Vegas Golden Knights already seem to be a force to be reckoned with. In their inaugural season, the Golden Knights made it to the 2018 Stanley Cup Final, where they unfortunately lost out to the Washington Capitals. With such good form so early on in their existence, many believe that the team may a good bet for NHL futures. 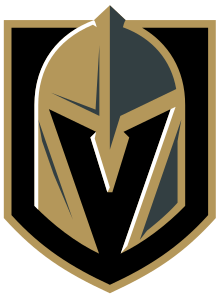 Below we have a look at all you need to know about the Vegas Golden Knights to make informed bets. This includes their odds, current standings and upcoming games. If you’re interested in putting a good, old wager on an upcoming Vegas Golden Knights game, you will find no better odds than those offered at these great sportsbooks. In addition to this, bettors are sure to find a range of betting options to suit their every desire. So far, the team has only completed one full season (2017-18) in the NHL, and what a season it was! Surprisingly, the team started off the season very well, winning eight of their first nine games. The rest of the season would prove to be quite fruitful, with the team breaking loads of expansion team records. The season would ultimately culminate in the Golden Knights making it all the way to the 2018 Stanley Cup Final. Unfortunately, the team’s (and many sports bettors) dreams came to an end when the Washington Capitals took the final series 4-1 despite the Knights winning the first game. The Golden Knights have proven to be a strong side. They don’t seem like they’re going to slow down any time soon. We wouldn’t blame anyone who felt the need to place a bet on this great side. Just know that you don’t have to head to Vegas to do so! With all the great sports betting sites available here, you can do so anywhere in America!